Annual election results are in and we’ve got new leaders at international, regional and technical board levels. Many thanks to our IISE professional members who exercised their voting privileges this winter. And, a hearty congratulations to those taking office April 1. These are truly passionate people who are volunteering their time and expertise to serve their association and ensure its growth and well-being. Their dedication to you, the member, and to the profession as a whole, is expressed in their active role as leaders motivated to make a difference. New officers on the Board of Trustees will be attending an upcoming board meeting at the IISE headquarters in metro-Atlanta. Each year, this March meeting represents a blend of current officers and new, providing the perfect opportunity for onboarding, networking, reviewing agenda items, and this year, solidifying our strategic initiatives to be announced at the IISE Annual Conference and Expo in Orlando, Florida, May 18-21. I’m proud to introduce your new Board of Trustee officers: David Poirier as president-elect; Carl Kirpes as senior vice president, industry; and Gül Kremer as senior vice president, international operations. Interestingly, David is IISE’s first non-US President, an indication of how we’ve evolved from our beginning 70+ years ago as the American Institute of Industrial Engineers. 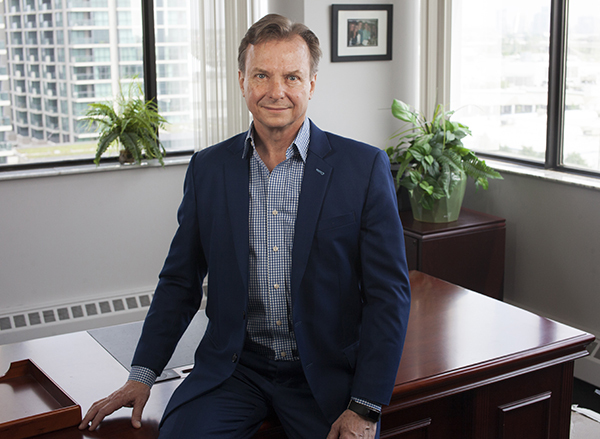 In a piece for the March ISE magazine’s “The Institute,” Poirier, founder and chief executive officer of The Poirier Group in Toronto, Ontario, Canada, and an IISE Fellow, had this to say about IISE and his new leadership role. I echo Poirier – I, too, am excited to work with him and our 14-member board to continue the development of IISE and the profession as a whole from youth to maturity. We live in a time of technologically driven change when keeping pace is paramount for success in our careers and in our personal lives. IISE is here to help you focus on what’s important as an ISE – no matter how or where you’re applying your unique skill set. Let’s work together with our incoming and established leadership. You’re the driving force of IISE and your elected leadership represents you. By joining IISE and taking an active role at chapter, division, society to international levels, you, too, have the opportunity to make a difference personally and professionally. And, who knows, you might be leading the charge of your profession and association in the not-so-distant future. Before I close, reminder to all that we encourage your attendance at upcoming IISE events. 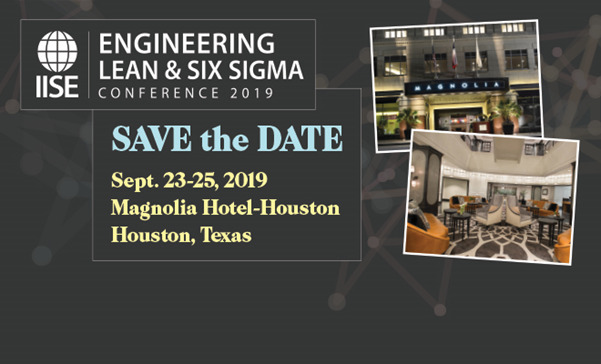 From a score of webinars each month to three back-to-back conferences this winter into spring, and one in the fall, your participation helps you stay ahead, connected and informed. 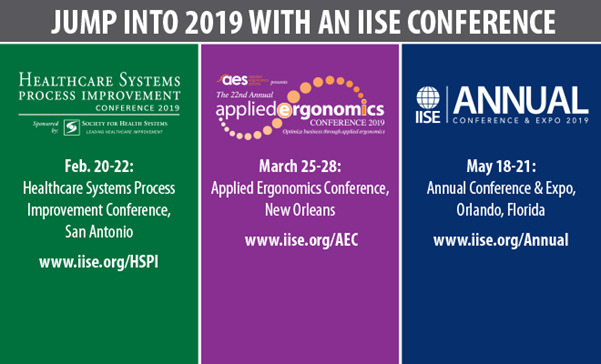 IISE’s educational opportunities are created by your peers specifically for you, ensuring you receive the latest and greatest learning and networking experiences available in the ISE world today.